Personal Loans have become the crux of the working-class individuals. It is the perfect solution to all your immediate financial requirements. You can apply for a personal loan from your personal bank or any other bank including financial institution. It is easy to apply for a personal loan and get it disbursed to your account within a couple of days. Personal loans are not tagged in any category such as home loans or vehicle loans. Therefore, they are so popular as the money can be used for almost anything. In fact, you may also take a personal loan to travel abroad for leisure purposes. The banks or financial institutions do not care about the spends you do and neither do they track them. All they care about is that you pay the installments on time and accurately. Let us look at the many aspects of a personal loan. We all wish to avail a personal loan for our requirements. But there is a lot of calculations that we should do so that there is no financial instability in the future. So be ready to do that calculation and get all the insights for the personal loan. Let us look at the aspects first and then continue with other things. Immediate cash requirement is the first aspect of a personal loan. It can be a need for almost anyone and this is the main point that all banks and financial institutions try to find to offer personal loan. They have a free hand in offering any amount of loan to an individual who has the capacity to repay it on time. To improve a CIBIL score, you can take a personal loan and start repaying it on time to get more points on your rating and improve it drastically. Banks and financial institutions would not offer you a personal loan if you do not have a good rating. You can repair such a rating if you apply for a personal loan, no matter what the amount is and keep on repaying it on time. Short term loan without any collateral is not easily available. This need can suffice your business requirements too and therefore, there are many takers for it. You should look at the calculation before you apply for it so that you do not pay more than what you currently are in loaning money from the market. You can choose your loan amount up to 25 lakhs and get it approved without much documentation. There are many banks and financial institutions that would offer you the same loan amount at different benefits and features. But most of the details would be almost same with a twist in the tale. It depends upon you to look at it as a preference and act upon it or go in for a different offer altogether. Applying for a personal loan is not difficult. All you need to do is fill up the form and provide all the documentation needed. Once this goes in for an approval, your documents are scrutinized to know how strong you are as a loan repayor. There are a few parameters that help the officials to judge you. These include your income patter and sources, its stability and longevity, your background and academic qualifications, if the amount is huge then your fixed assets which can be looked upon for repayment purposes and finally any collateral if required. If there is a requirement a guarantor is also necessary for documentation purposes so that you know there is someone to catch hold of when things go out of hand. Many banks have a system that determines all such things when the inputs if provided. The result is generated which would help the bank or financial institution to approve your loan. This activity would not take more than a couple of minutes if everything is in place. Most banks and financial institutions vouch for a quick loan approval and disbursement so that individuals come to them in greed of getting the money soon. When the personal loan is approved, it is always a relevant question of when will the disbursement happen and how? Well it depends on the individual’s choice and the details provided while applying for the loan. Once the loan is approved, you can get it into your bank account in the next 24 hours. This is the quickest time you can expect for any personal loan to be disbursed. It can be done earlier as well depending on the paper work you have. Finance can be an obligation if you do not plan for your future. This can be for many types of requirements and you should look at the dire necessity and only then apply for it. A personal loan can be offered to you at any given point in time. But you should look at the added cost you would bind yourself into. This would at least give you the room to think if it is necessary or you are just taking it for the sake of applying for a personal loan? You should not limit yourself to something if the need is there and the solution to it is also easy. Documentation process is the task for each loan product. You need time to collectively get all the documentation done. This can take a while if there are a few important papers missing. Therefore, ensure to keep your documentation in place for any such requirements. Also, personal loans do not need much of documentation unless there is a huge sum involved. Just keep your documents ready and submit it with your application form. Ensure that all the details are mentioned clearly so that nothing wrong is portrayed to get your loan rejected. Loan tenure is the most important part of any loan. This would decide the actual cost you would pay for the entire loan. The interest rate is also determinant on this aspect and you should weigh all your options before you take the plunge. The tenure can be anywhere from one year to 5 years. Any personal that goes beyond 5 years would mean that the institution is playing around with you unless your relationship with them is very strong. Many banks and financial institutions run offers that have a pre-approval for personal loans. All you need to do is complete the required details and get the disbursement into your bank account. This pre-approval needs minimal documentation and you should go in for such schemes if you really need the personal loan. If you hold a credit card for such banks and financial institutions, then based on your past relationship with the bank, you can apply for a personal loan which is already approved, and you just need to show the need. Such pre-approved loans can be disbursed into your bank account with the click of a button within minutes as there is hardly anything needed to be done. Collateral is a security of similar or more value as per the personal loan you have applied for. It helps the banks and financial institutions to keep their investment intact. In case if the individual fails to repay the personal loan then these assets can be sold, and the money can be recovered back. However, there are many banks and financial institutions that offer you a personal loan without any collateral. This is a huge point to apply for a personal loan as it is not necessary that you have such a collateral for the loan you need so direly. You should look for a collateral free loan so that applying, and approving is easy. 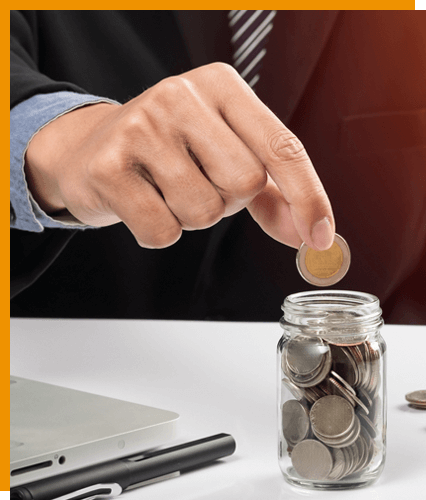 When you apply for a personal loan, there are a lot of hidden charges and penalty that you are not known about and could pose a problem in the later part of repayment or pre-closure as well. You should read the offer document and the terms and conditions well. This would help you to know what is coming your way and how can you deal with it. It is important to know the penalty charges if you plan to close the loan before the tenure ends. If there are any hidden charges or government taxes, then you should be fully aware about it. This would help you to calculate your future finances. You should know how to manage your account online once all the documentation and disbursement has been done. You should check the online account for all the details that you were promised or applied for so that there is no surprise at the end. It is easy to look for such details online on your personal account. You can make the necessary changes to them if there is something unusual seen. When you have availed for a personal loan, repayment takes time and you may feel the burden or pressure to repay the loan. During this time, there are many offers that are rolled out from the lender’s end to pre-close the loan. This can be for a part pre-payment if you can afford so that your EMI can be reduced, or the principle amount can be repaid to reduce the cost of the loan. You can either reduce the tenure in such a case or reduce the EMI. You can also look for an extended loan requirement during your tenure. It may so be possible that your requirement for the loan has increased and you need more cash to fulfil your requirements. This would mean you need a top up loan. This should be available in your current setup and if this is possible, then you need not run to search for other options. This is more concerned from an internal lender perspective. But you should know about the aspect well. It helps you to pre-close your loan before tenure and make it cheaper for you. Every EMI you are charged is made up of interest and principle amount in a ratio and for the payments due. Most banks and financial institutions keep more ratio for interest and less for principle so that they can gain much from such an arrangement. This is more prevalent where the pre-payment is possible with minimal or no extra charges. If the interest component is more the you would need more time to make the payment as the principle would take more time to be repaid. So, ensure you know this ratio to close the personal loan soon. EMI is a result of your personal loan which is informed to you while you apply for it. This is the equated monthly installment which is divided into the tenure you have chosen to repay the loan. You can know this by informing your need such as the loan amount and the tenure. The interest is also added to this calculation, but it is at the sole discretion of the bank or financial institution that would lend you the personal loan. Once all these parameters are given, the result is the EMI. You can also calculate your EMI on your own even before you apply for the loan. You can use EMI calculator available on Wealth County portal. They need all such details to generate your EMI for the loan amount. It is necessary for you to be vigilant in all such dealings so that you do not get the shock of your life while you apply for it. Going slow is better than rushing and then repenting. It can also disrupt your credit history and record which would mean no more loans in the future or expensive in terms of interest rates being high due to the track record. You can also get to track all your transactions online to keep you updated on regular basis.